July 26, 2017 | BY: K. Aleisha Fetters, C.S.C.S. July 26, 2017 K. Aleisha Fetters, C.S.C.S. If losing weight is hard, the sad reality is that keeping it off can sometimes feel just as hard. After all, according to a research review from the University of California at Los Angeles, about two-thirds of people who successfully lose weight gain it all back — and often more — within five years after ending their diets. And therein lies the secret to weight-loss maintenance: consistency. After all, if you approached weight loss in a healthy way (no fad diets! ), losing weight and keeping it off aren’t all that different, explains Gavin McHale, Winnipeg-based kinesiologist and certified exercise physiologist. Sure, to maintain your weight loss, you’ll you need to eat slightly more so that you’re in a caloric balance rather than a deficit (meaning calories in vs. out are equal), he says. But that’s it. When you eat something that’s less-than-healthy or miss a workout, don’t bother calling it a slip-up or thinking that you need to “work off” that donut by doing double-time at the gym to “make up” for it. Just get back on that healthy horse as soon as you can afterward. The good news: When you’re consistent — with your nutrition, exercise, and overall lifestyle — you end up establishing a new, healthier “normal” for yourself, suggests a comprehensive review of weight-maintenance research published in The American Journal of Clinical Nutrition. It shows that once people have successfully maintained their weight loss for two to five years, their chances of keeping the weight off for the rest of their lives greatly increases. One of the key findings in this review reveals that the roughly 20 percent of people who successfully maintained their weight loss tended to “catch” themselves when they started having one too many slip-ups (deviations from their new healthy routines) before they regained significant weight. So, what habits do you need to form now to become part of the 20 percent of successful maintainers — and keep the weight off for the rest of your life? We combed through the research and polled top experts to find out. 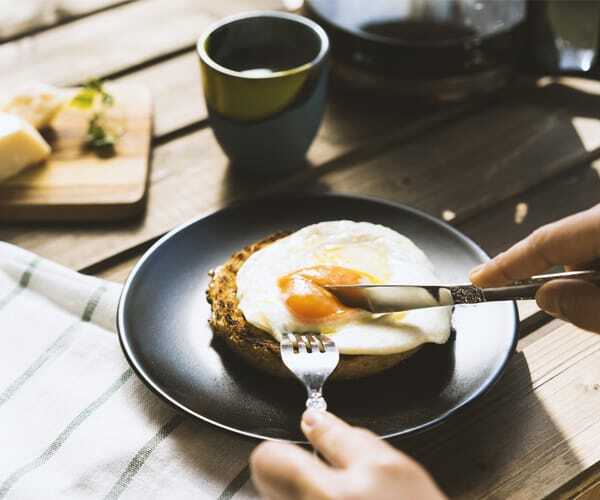 According to the National Weight Control Registry, which follows more than 10,000 people who have lost at least 30 pounds and kept them off, at least 78 percent of successful maintainers eat breakfast every day. Meanwhile, according to Cornell’s new online Global Healthy Weight Registry, 96 percent of people who have always been at a healthy weight are daily breakfast eaters. It appears that, whatever your starting weight, breakfast can help you maintain a healthy one going forward. Why is it so important to eat soon after you rise? Breakfast — especially one high in protein and/or fiber — is a veritable craving crusher. For instance, in a Journal of the American College of Nutrition study, people who ate fiber-packed oatmeal reported feeling significantly more satisfied and less hungry hours later compared to people who started their days with ready-to-eat cereal. That’s in line with Cornell research, which shows that people who are able to maintain healthy weights most often focus on food quality — such as whether a food is whole or processed — rather than calories. After all, if that pint of ice cream says it’s low in fat, that doesn’t mean it’s healthy. If you’re not sure what or how much you should eat to maintain your weight loss, the Beachbody Portion Fix Eating Plan can clear up the confusion. A simple equation determines your weight maintenance calories (factoring in your daily activity level and exercise routine) so you can find the total daily calorie range you should stick to in order to keep your weight stable. The color-coded container system not only helps you keep your portions in check so you don’t have to count calories, but it also ensures that you’re eating an appropriate balance of carbs, protein, and fat (including the occasional treat) so your body gets the nutritious fuel it needs. “Everyone should move at least some every day, even if it’s just by going on a 20-minute walk during your lunch break or cycling to work,” says Albert Matheny, M.S., R.D., C.S.C.S., a trainer with SoHo Strength Lab in New York City. 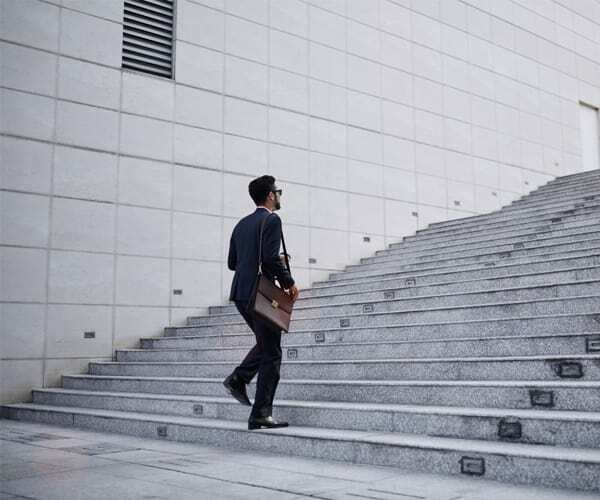 It’s important to think of physical activity as something that happens not only in the gym or your living room, but also in daily movements (think: climbing the stairs, carrying heavy stuff, etc.). That said, full-blown sweat sessions can’t go overlooked, especially when it comes to strength training. Performing regular resistance exercises (with or without weights!) is critical to preventing the loss of lean muscle as you age; this can result in a lower metabolic weight and weight gain through the years. In fact, in one Harvard study that followed 10,500 healthy men over the course of 12 years, those who strength trained for 20 minutes every day gained less age-related abdominal fat compared to those who spent 20 minutes per day doing cardio. Stream Beachbody workouts that focus on resistance training; P90, P90X2, P90X3, Body Beast, and the Master’s Hammer and Chisel include plenty of exercises that can help you preserve and build lean muscle mass. You know how critical support — whether it’s through Facebook and other online groups or in person with a workout buddy or accountability partner — is when trying to lose weight. But regularly getting that support is equally important when you’re trying to keep it off, according to 2014 research in Public Health Nutrition and Epidemilogy, that found that women who receive social support during their maintenance phase are significantly more likely to be successful compared to those who try to do it on their own. Consider checking into a healthy-living Facebook group each week, posting your maintenance progress to Instagram daily, or signing up for a group workout class that will help keep you accountable and feeling supported. “You have to be ruthlessly consistent with your habits, so make sure they can fit into your lifestyle. If you try to fit a square peg into a round hole, you’re bound to fall off the wagon when life hits you in the face — and it will,” McHale says. For example, if you’re a nine-to-fiver who’s exhausted at the end of the workday, maybe after-work workouts aren’t the most practical for you, but early morning or lunch-hour sweat sessions can be. Realize, though, that your lifestyle won’t always be the same and, as your lifestyle changes, it’s OK to adjust how you implement your healthy habits. Chapter 1: Why Am I Not Losing Weight?